Bouncing by for a quick flashback as there is a specific question that seems to keep popping up in the comments in regards to the Fine Arts District and the Blimp. “Where did the Blimp go, I wasn’t done?” No worries, here to help as usual . Let’s recap just exactly WHAT happens with the Fine Arts District and how the Blimp factors into it all. First, the Fine Arts District is an extension of District 9 and the Blimp questline. Due to this, you WILL have to complete the Fine Arts District now before moving on to District 10 and the Pawtucket Brewery. Now, on to the main subject… the Blimp. HOW MANY TRIPS TOTAL DOES THE BLIMP MAKE? In the Fine Arts District, the Blimp will make 5 trips then it is done. At that point it will go away and not return. View the Entire Fine Arts Questline HERE. BUT I DIDN’T GET ALL OLIVIA’S ITEMS!!! The Blimp itself does NOT bring the items back the minute it returns. Instead, it is just one part of a 3 and 4 part quest dialog. It is during the DIALOG that the items will actually drop. As you get to a specific point in the dialog, items will pop into the Shopping Cart Menu for purchase. Also, at the END of the questline for each of the 5 trips the item the got on the Blimp Trip will finally be awarded. For the drop points of the Old West and Egypt, see HERE. For the drop points of the Prehistory, Ancient Rome, and Renaissance Blimp Trips, see HERE. I CAN’T FIND THE ITEMS! If you have followed ALL of the questline, not just sent the Blimp, the items you are seeking will be in one of two places. Items unlocked from the trip and triggered from the questlines will appear in your Shopping Cart Menu to buy with Coin or Clams. The Main items you will need to help unlock Oliva are mostly awarded at the END of each questline. This means you have to send the Blimp for its trip AND complete all the dialog for that trip. These items will go to your Inventory and will need to be placed into the game. I UNLOCKED OLIVIA, WHY AM I NOT DONE? As stated above, there are FIVE Blimp Trips total. Four of them help to get the prizes Olivia needs. Then once she is unlocked, there is one final trip before it is done. So keep going until all five are complete. Here is the complete questline again. I GOT STUCK TRYING TO GET OLIVIA! If you are stuck and can’t seem to get the Fine Arts District Land unlocked, here is a post that may help you out to gain access to that land so you can continue on with all the questlines. How to unlock Fine Arts District Land HERE. Each trip is 3 to 4 Parts. 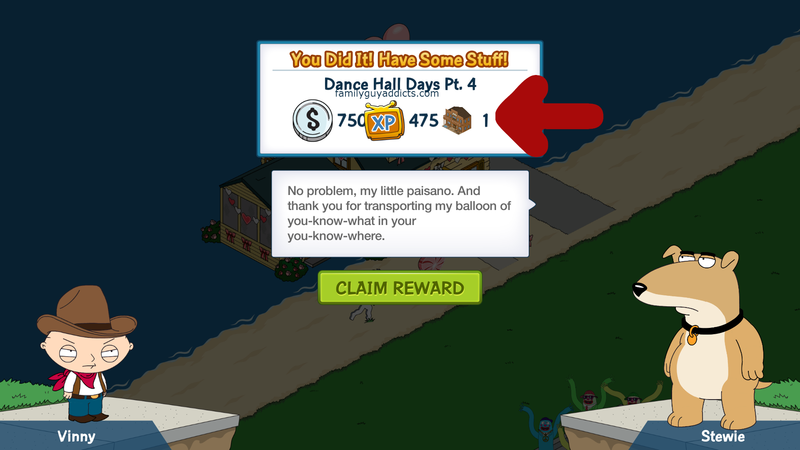 The Blimp Trip AND Dialog all have to be completed to get the items. Items will unlock via the Dialog and appear in the Menu for purchase or your Inventory Storage for placement. The Blimp will go away for good at the end of the 5th trip. Hope this helped to get some better clarification on the Fine Arts District. Did this help you? Did you locate all the items you needed now? Does this help to make better sense of the Blimp Trips? Let us know. This entry was posted in Fine Arts District, Game Play and tagged Blimp disappeared, Can't find Olivia's Items, Can't unlock District 10 Pawtucket Brewery, Egyptian Bath House, Family Guy Addicts The Quest For Stuff, Family Guy Tips and Tricks, How many trips does the Blimp Make?, I didn't get all Olivia's Items?, Saloon, Where did the Blimp Go?. Bookmark the permalink. The issues with The Blimp are ongoing and TinyCo are trying to find a solution. You may need to contact them again if you’ve not heard back in over a week. When will the game let me Play Dance Hall Days Part 4 ? 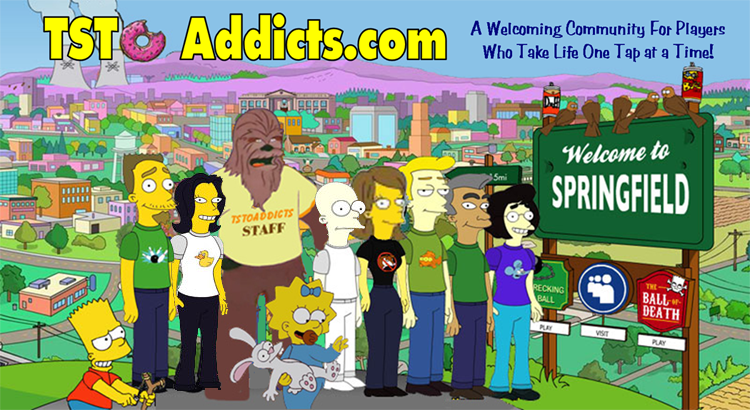 None of the characters can earn Plutonium and the blimp is missing. I’ve opened one of the three land plots for the Fine Arts district. Hello I am on build a blimp pt 7. I have collected all the items to build it so I pressed build and nothing happened it just disappeared from the water. Can you help me? Is there anything I should do? Could you go on the recent Wicked Glitch post and add this info so we can collate where the issues are occurring? I can’t finish Ye Olde Blimp Trippe Pt.4. I got Olivia, finished all blimp related quests and sub-quests. I removed and installed the app, nothing changed. My blimp is gone. In game message TinyCo for help on this please. I think you should put this on the front page but….THE BLIMP IS BACK BABY!! 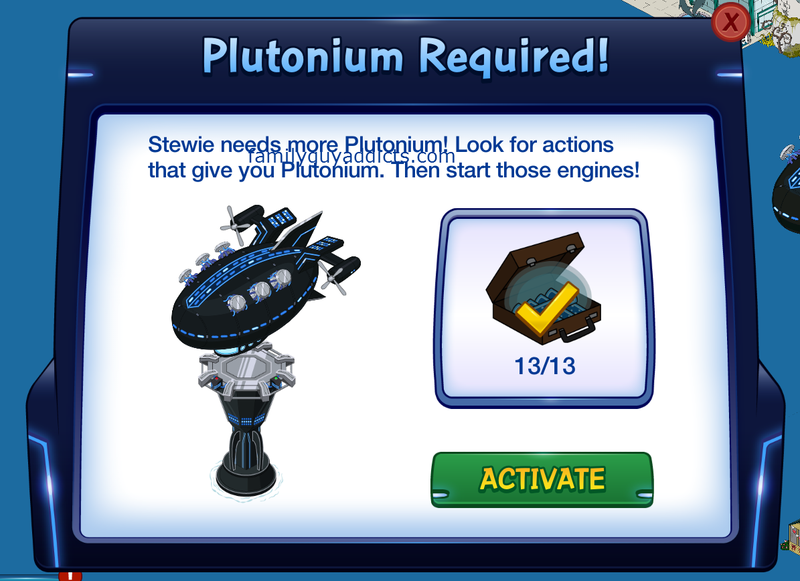 Finally TinyCo wrote me saying they had a fix and to reload my games…Now on both the phone and FB, the Blimp is there and now I can start getting Plutonium! YAY!!! I have unlocked Olivia and have completed all of her tasks up to Ye Olde Blimp Trippe Pt 4. Once I started Blimp Trippe Pt 1 my blimp disappeared, it allowed me to finish 1-3 now when I click on the link to start Pt 4 it does nothing. I can’t figure out how to complete this task and until I do I can’t progress to District 10. Any help would be awesome! I have gathered all the stuff to complete the blimp, and actually hit the button to do that when prompted in popup. However, my quest still shows i need to “complete the blimp”, the tower is gone (since i already did turn all parts in to complete it when it popped up on its own), and it will not let me actually progress any further as a result. what do i do since i cannot get to what the deuce pt 1 since cannot complete the blimp again? Nothing here or online addresses my issue at all, and i can clarify if needed. i have restarted the app several times as well to no avail. What are the names and part numbers of all the open tasks in your task menu? Hit Go on Build-a-blimp Pt 7 and nothing happens becvause I already did that in the popup that happened as soon as I clicked on the tower where the blimp is built. Blimp is not there and tower is gone. My suggestion (which TinyCo may suggest too) is to ensure your game is saved to an email or Facebook. Once you are sure it is saved and linked… Uninstall app, restart device, reinstall app, log in, LOAD saved game, see if anything else triggers. As some of the Districts in this area have been changed with new additions inserted later on after the game launched, things may pop up a bit differently. Normally you would head to District 9, but now with the Fine Arts added… it skips to Fine Arts and Part 2 of the Blimp first. But the land would need to be seen in your game as unlockable and the area around it purchasable to move forward. Does it look like you can access the land? Reinstalling did nothing. thanks for the effort. sent a message to TinyCo and waiting to hear back. 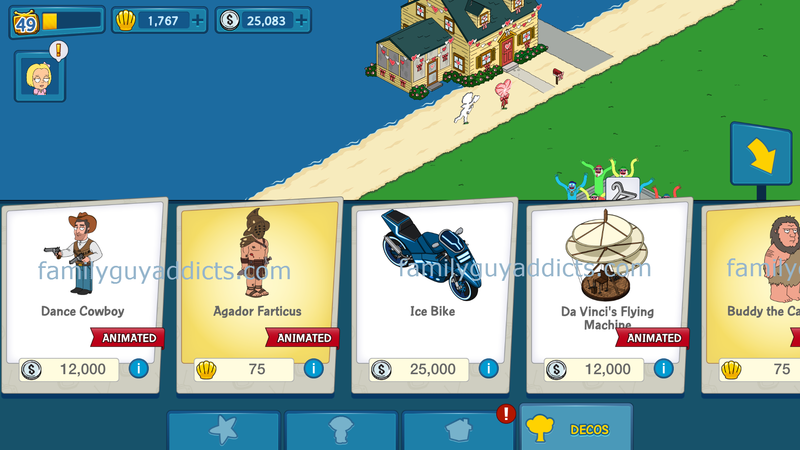 So, I completed Virgil’s First Edition Part 3, sent the blimp to ancient Greece, got my monetary reward, and Agador Farticus appeared in the store for clams. But no Acropolis. There is no further dialogue occurring, and that quest has now vanished from my quest list. Only The Future Was Just Now Part 3 remains as a quest for the area, but without the Acropolis, that cannot be completed. Any thoughts…? 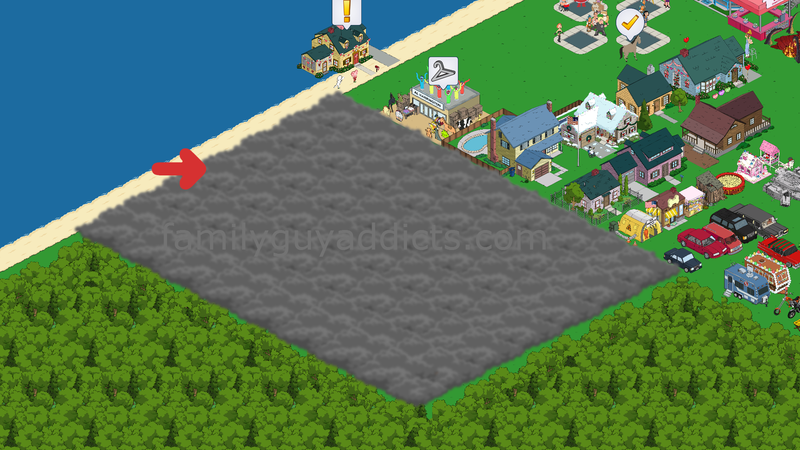 Do you have any area that has the gray clouds over it? If so… tap that area and see if the Olivia Picture for Fine Arts District comes up, then tap on the go from there. I’m having issues with unlocking district 9…all forums say I need Brian and Stewie complete the blimp quest but I have no blimp quest to work on. The only task I don’t have done is to get Cleveland… and I don’t have 400 clams for that. Is there something I’m missing? This is the 2nd part of District 9, are you looking for the First part? Or did you complete that already? So no other open tasks in your task menu at all outside Cleveland? I need the first part of District 9….and yes, the only thing I don’t have is Cleveland. All other quests have been done. First, are you playing on the Windows Stand Alone app? If so, you stop at District 8. Stand Alone is just that, it is nothing like the Mobile App. If you are playing on the Mobile App… take a look at these then and let me know if any of them help out. See if there was a building missed that needs to be placed. Are these quest required to unlock district 10? I have the quest for Pawtucket Brewery, but it just said it “Locked” I’m not sure what else I have to do to unlock it. Yes. Fine Arts was added as an extension to the Blimp District. So it needs to be completed before Pawtucket. I’ve completed all the blimp trips but never had any dialogue so none of the items have been unlocked. What do I do? Follow some of the tips in this very post. See what tasks you have open in your game and see what you are missing. Also make sure you have the appropriate Buildings in place needed. I have no blimp to send out it has disappeared. My task or dialogue or whatever says ‘time travel to the old west in the blimp’ it’s dance hall days part 4 but i have no blimp to send! I have no other tasks relating to Olivia or anything to complete this is the only thing I have and I can’t complete it. I know you have replied to a number of people to read the post and I have done, several times in fact, but I am still no clearer on what to do. I have nothing in my store or inventory related to this quest so I don’t know what to do. I know I stopped playing for a while because I had work I needed to do, was this time I took away the reason I cannot complete this? Any help would be much appreciated, just please don’t tell me to read the post again, I have done. If you can’t help say that instead. Update to 1.27.1 and see if it helps. They are aware and working on it. Thank you so much for this! Little did I know I had all the items in inventory to unlock Olivia. This website was a big help so thanks again. I was on the last bubble for Olivia and I sent the blimp out and it never came back. So now Olivia is still locked and i have no blimp to get the last item to unlock her. HELP! I got the saloon, and the cowboy and Da Vinci’s flying machine appeared in my shopping cart. When I bought the cowboy, the flying machine vanished. What happened? I’m beyond frustrated with this and it’s making me sour on the game. How do I trigger this “dialogue” to unlock the Venus Fly Traposaurus and the Acrapolis? Nothing I do is working. Did you check the links all over this post? See where you are in questlines? What needs to be done? Did you finish the questlines? Ii figured out why I was having problems. When I was clicking on the bath house task it was not taking me to the store. I kept thinking the blimp was going to drop it. My only question is… When will these dang chumba wumbas quit running around? They are annoying at this point..
Hi, I have unlocked all the missions regarding blimp. However, the last 3 trips just give me money…. So I don’t have unlocked the triceratops and acropolis ! The balloon has disappear and Olivia is still blocked, I don’t understand why ?! And I can’t collecting blimp anymore.. An other thing, I got the mission walk like an Egyptian part 1 but I can’t start the mission with Stewie and Vinny… If someone can helps me please.. thanks ! Glad I saw this post. 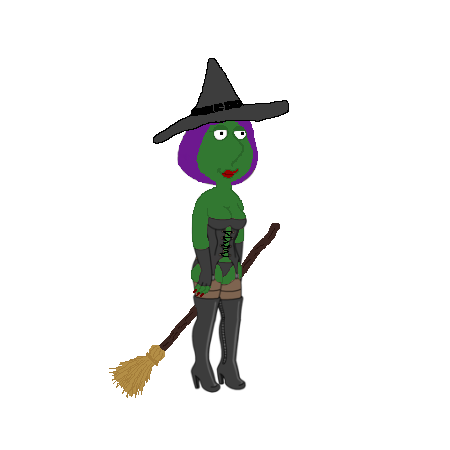 Realized that I didn’t have the flying machine in my quahog. Went to the shop and there it was. Thanks again for your great work. You guys ROCK!! I was one that asked this questions a couple days ago, fell behind on this quest and was confused, but thanks again for the info. You guys Rock! Could someone enlighten as to why Davincis helicopter never became available for me. I have the same question. Never saw it in my game, not even when the cowboy first appeared, and I’ve been done with all the questlines since last week. I’m playing on a Kindle, maybe for some reason we don’t get it? Did you complete the Renaissance Blimp Trip all the way to the end of that questline? If so, it will appear in the decorations for purchase. I have a question, I don’t know if it is just my phone, but since Fine Arts District started I noticed that I have no notifications from the game on my phone. All my settings are as before: all notifications on. But I get no informations when character is finished with something or when a building is done. Is it just me or maybe did anyone else notice that? Check the notifications settings not only in the game, but on your device too. Usually in the app manager for the game. Thanks for an answer 🙂 I already checked everything I could and it all looks right. I’ll have to keep looking, notifications were really useful and I miss them very much. I’m a little confused. You have to watch all of the dialogue in order to get the prize. And if you skip the dialogue, you lose that prize? For the last two prizes, it didn’t even give me the option for dialogue. It went straight to Stevie shooting a ray gun and saying something and the. Some coins showing up and nothing more. Does this mean I can’t get Olivia because the blimp is gone? Really really lame ending to the whole blimp story. Why couldnt the thing stay? Glad I finished the quest! Spoiler: in the end, the blimp exploded after the last trip after Olivia was unlocked! I’ve had the brewery and Pat for awhile. Did something change? Keep unlocking new Characters/Character Skins whose tasks drop XP. Build Rooms to drop it. 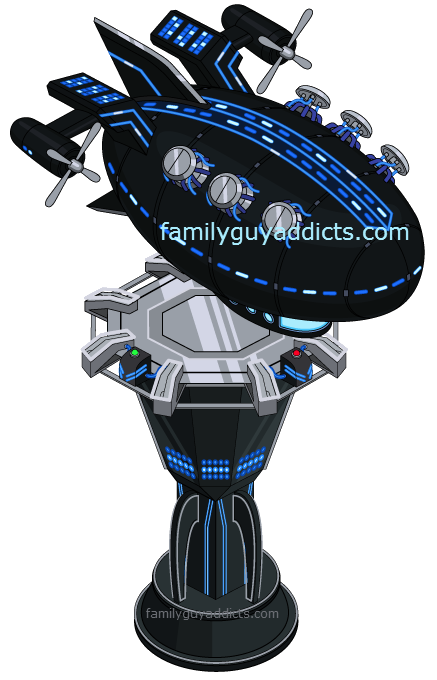 Create Items in the Replicator to drop XP. Unlock everything and buy everything each for one only! for characters, always make them do things for 2 hours, you will earn more XP and crystals than doing 4 hour work or more! Bit of a damp squib end to a task we have been waiting ages to complete, but more than made up for it with the new Trek event up to now, what is looking the best yet, with a fantastic ship to visit.